by April 28, weather permitting. Plano Sports Authority (PSA) offers the largest nonprofit youth soccer program in Texas, with over 500 teams participating in our Recreational and Academy Soccer Leagues each season. PSA offers year-round soccer for the youth of Plano and the surrounding communities. From recreational to club, league play to skills classes, we have something for everyone. Come and experience what thousands of players and families from around the area have chosen as their home for soccer! PSA’s recreational soccer leagues offer multiple divisions to provide the best competitive balance for beginners, intermediate players and advanced players. PSA recreational soccer is grade based to allow players the opportunity to play with friends! PSA’s recreational outdoor soccer leagues for Pre K through 12th grade are the largest in the area - played over the Fall and Spring season. Teams registered in Plano will play games on the City of Plano fields. Some age groups registered in McKinney or Murphy will play at the PSA McKinney field or PSA Murphy fields. PSA indoor recreational soccer is played at four of our state-of-the art facilities in Plano, Murphy, and McKinney during the Summer and Winter seasons. *Pre K indoor soccer is offered year-round. The PSA Academy League is the next step for recreational soccer players to advance and develop their game to take it to the next level! 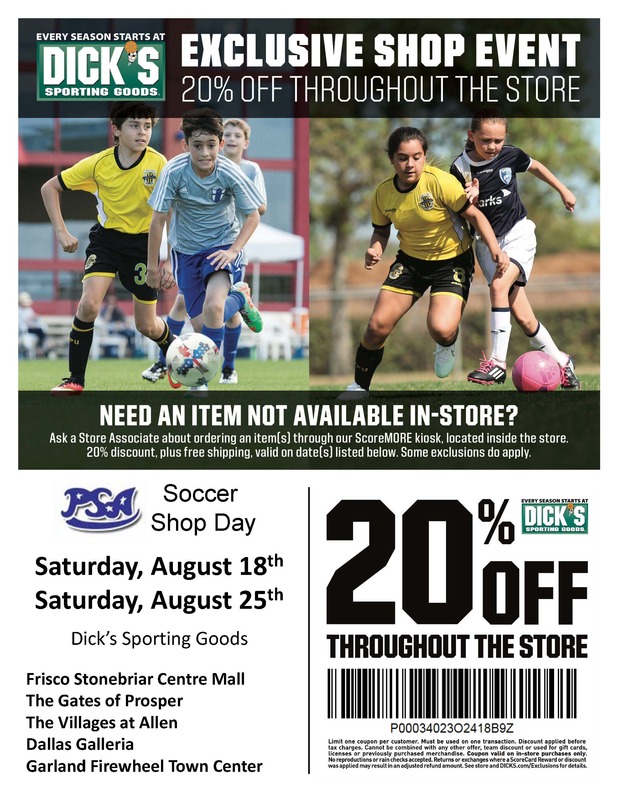 Texas Thunder Soccer Club is PSA’s home-grown soccer club! Texas Thunder’s goal is to work alongside the recreational coaches in the PSA program to assist in both player and coaching development. PSA offers players the opportunity to train and develop under the guidance of licensed, experienced and passionate coaches through the Texas Thunder Academy Skills Classes. Volunteers are the life-blood of PSA! Most recreational head coaches, assistant coaches and team managers are parent volunteers. We encourage you to volunteer and be involved in the recreational soccer league with your player. As a parent volunteer coach, you can determine practice date, time and location.